The Minnesota Catholic Conference declared that a national advertising campaign to restore federal tax funds for abortions "woefully misrepresents the noble Catholic social justice tradition." The campaign, by Catholics for Choice, "disregards the need to defend vulnerable human life in all its stages—a principle at the core of authentic social justice," said the conference, the public policy arm of Minnesota's bishops, in a statement on Sept. 12. Years ago, the U.S. bishops said the group, formerly called Catholics for a Free Choice, had "no affiliation, formal or otherwise, with the Catholic Church." The Minnesota Catholic Conference responded to an ad placed in the Minneapolis Star Tribune, the state's largest daily newspaper. In the ad, a Pennsylvania woman, Linda Pinto–described as a Catholic, mother, grandmother and former nun–said: "It is because of my Catholic faith, not in spite of it, that I support women who make conscience-based decisions to have an abortion." 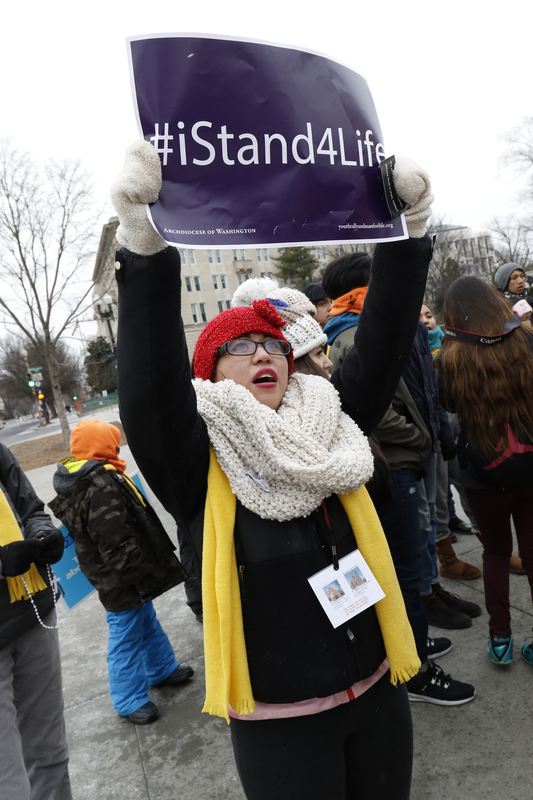 Catholics for Choice said its "Abortion in Good Faith" campaign was a multiyear effort to overturn the federal Hyde Amendment, which bars the use of federal funds for virtually all Medicaid abortions. The organization said ads appeared Sept. 12 in the print editions of more than 20 local and national publications, including Politico, the Nation, the Chicago Sun-Times, the Philadelphia Inquirer, the Dallas Morning News and La Opinion. In 1993, the Administrative Committee of the U.S. Catholic bishops called what was known as Catholics for a Free Choice "has no affiliation, formal or otherwise, with the Catholic Church" and "merits no recognition or support as a Catholic organization." In its statement, the Minnesota Catholic Conference said, "If there is a desire to help a woman in need who is facing an unplanned pregnancy, the solution as a society is to get her the resources and support she needs to care for her child–not help her dispose of it. "Pope Francis has repeatedly condemned such a mentality as part of the throwaway culture that attacks the dignity of the weak and vulnerable because they seem inconvenient and make a claim upon our care and resources." The state Catholic conference added, "The ad itself makes no effort to ground its claims in any authoritative source of the Catholic faith, which is rooted in the life and teachings of Jesus Christ and is proclaimed by the church. It fails to do so because the actual teachings of the Catholic faith embrace a consistent ethic of life from conception to natural death, and categorically condemn abortion as an act of violence against the most innocent and defenseless among us." Others featured in the ad campaign are Lauren Barbato, a graduate student and writer from Newark, New Jersey; Kathy Ryg, a former Illinois state legislator, mother of four and grandmother of eight from Vernon Hills, Illinois; John Noble, a student and community organizer from Des Moines, Iowa; Heather Hirsch, a cancer researcher and mother from Cottage Grove, Minnesota; and Gloria Romero Roses, a business owner, mother and former congressional candidate from Southwest Ranches, Florida. The Minnesota Catholic Conference suggested that Catholics respond to the ad by giving support to one of the state's pregnancy resource centers, which "care for both mothers and children in a manner consistent with true social justice." In other reaction, pro-life lawyer Helen Alvare, co-founder of Women Speak for Themselves, said she "has decades of experience" with Catholics for Choice's "attempts to be provocative in order to attract free media." The group is "therefore often seen in the media, yet (is) not much of a factor in the pro-life debate on the ground," she said in a statement sent by email to Catholic News Service Sept. 13. "They have no members and no grass-roots work. Unlike the Catholic Church and other pro-life activists," she added, Catholics for Choice "provides no help for pregnant women or post-aborted women or children."